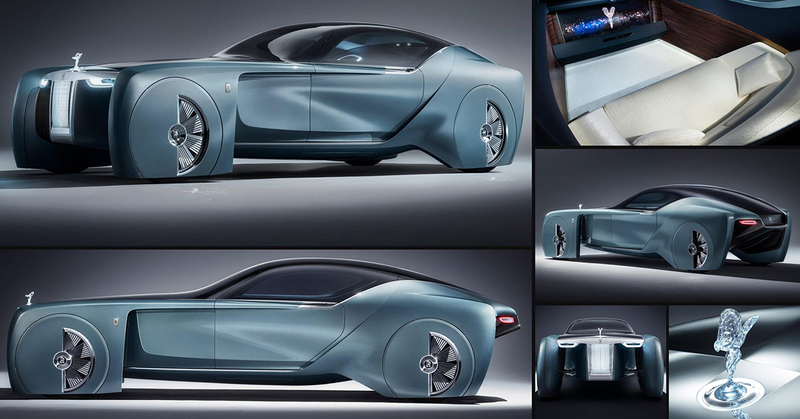 Rolls Royce has been working on this vision since its inception. This ultra luxury car maker is known for rewriting the definition of luxury in automobiles with every new product And this time with the 103 EX concept, it has well, lived upto its expectations. When you first look at the RR 103 EX, it feels like a vehicle designed for the Star Wars set. With its ‘sublime’ design and wheel that are covered distinctively making the car look like it is hovering, Rolls Royce claims this to be the Rolls Royce of the future. The futuristic looking automobile seats two passengers on a swanky silk covered sofa in the car’s “Grand Sanctuary,” or interior cabin. Instead of a steering wheel, you get a see-through glass display screen and comes equipped with a ultra swanky AI called Eleanor who Rolls-Royce calls your “ethereal concierge”. The engine is placed at the rear and the boot space or luggage is situated right behind the front wheels. When asked about the ‘bizarre’ looking wheels, RR claimed that the design makes the car look “elevated,” to ensure its passengers have a “Grand Arrival.” Rolls-Royce’s auto division, owned by BMW, has always been out there, trying to push the envelope on luxury and style. Certainly the 103EX does both. It clearly courts buyers who want to be noticed. The expected market launch of the vehicle is still a long away at 2040 according to company sources, but the concept is surely a huge leap towards the inevitable future of autonomous commutation.